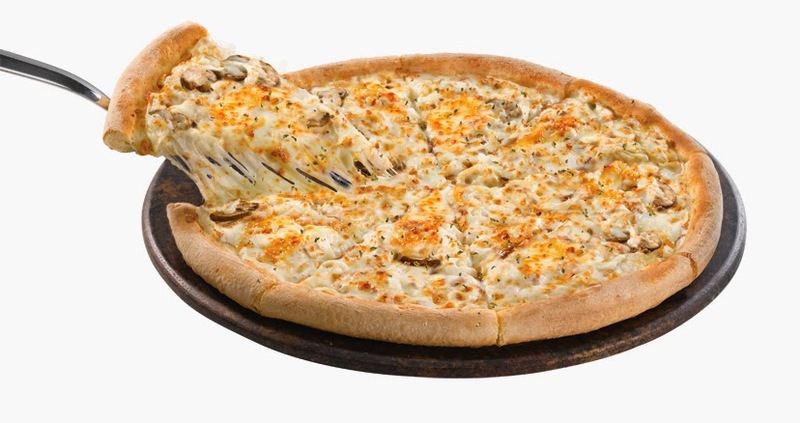 Luckyfinds: More reasons to enjoy Papa John's great-tasting pizza with Chicken Carbonara Pizza! More reasons to enjoy Papa John's great-tasting pizza with Chicken Carbonara Pizza! The Philippines' favorite pizza chain launches its new pizza flavor Chicken Carbonara Pizza. This recent pizza offering from Papa John's comes with crispy bacon in creamy carbonara sauce and a blend of Parmesan, Romano, and Mozzarella Cheeese, topped with grilled chicken, onion bacon and mushroom at a party size price of P485! You can never go wrong with a fun pizza party with Papa John's Chicken Carbonara Pizza Group Meals for 4 and 6. Visit Papa John's website at http://www.papajohns.com.ph or like them on Facebook - Papa Johns Philippines for updates and other promotions.